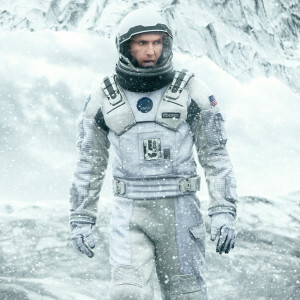 Christopher Nolan’s ambitious sci-fi epic about a group of explorers who venture through a wormhole to save humanity. The film is stunning (it won an Academy Award for visual effects), intense, bold and thought-provoking. Matthew McConaughey and Anne Hathaway star. Available March 31. Engaging biopic about mathematician Alan Turing and his attempt to crack the German enigma code during WWII. The film is surprisingly tense and emotional. Benedict Cumberbatch is spot on as Turing. Available March 31. Fascinating documentary about scientist Patricia Wright and her lifelong mission to study the endangered lemurs of Madagascar. Narrated by Morgan Freeman. Available March 31. The true story about a woman who embarks on a bold (and often reckless) 1,000 mile journey following the death of her mother and the disintegration of her marriage. Reese Witherspoon is excellent in the lead role. Available March 31. Engrossing crime drama set in New York City in 1981 – the most violent year in the city’s history. The film chronicles the struggle of an immigrant and his family as they try to expand their business amid violence, corruption and decay. Available April 7. Taylor Lautner stars in this street drama that is light on plot but loaded with thrills. “Tracers” won’t win any Academy Awards, but if you enjoy imaginative stunt work and electrifying action sequences, you should check it out. Available now. There’s not a lot that’s going to change anyone’s mind about this one. If you’re a Bieber fan, you’ll enjoy the good-natured fun that’s had at the expense of the music superstar. Monday, March 30, Comedy Central. Courteney Cox’s comedy about a divorced woman trying to adapt to single life gets a wrap after six seasons. “Cougar Town” was an uneven show, but more than not, it triumphed with sharp dialogue and good performances. Tuesday, March 31, TBS. A two-part (four hour) adaption of the Alice Hoffman bestseller about a group of women whose lives come together during the historic siege of Masada 2,000 years ago. Former “NCIS” regular Cote de Pablo stars. Tuesday, March 31, CBS. Wickedly funny animated feature for adults. It’s James Bond for the demented. Catch the season finale of this one-of-a-kind series. Thursday, April 2, FX. Don Draper and company return for one last martini-fueled ride. Don’t miss the final season of this award-winning series. Sunday, April 5, AMC. If you can’t get enough of English aristocrats scheming their way to the top, check out this six-hour mini-series about the rise to power of Thomas Cromwell in the court of Henry VIII during the early 1500s. Based upon the award-winning novel of the same name. Sunday, April 5, PBS. Intriguing new series about a female soldier becomes embroiled in an international conspiracy. Sunday, April 5, NBC. “A.D.” picks up right after the conclusion of “The Bible” mini-series. Needless to say, if you are a fan of the original mini-series, you’ll want to tune in for more. Sunday, April 5, NBC. FOX has ordered a six-episode mini-series of the cult favorite “X-Files.” Stars David Duchovny and Gillian Anderson will return, as will series creator Chris Carter. The History Channel has renewed “Vikings” for a fourth season. “Downton Abbey” announced that next season, its sixth, will be its last. However, the beloved series could return in the form of a movie. Paul Giamatti will star in Showtime’s “Billions,” a 12-episode drama about the high stakes world of finances. NBC is reviving the 1990s sitcom “Coach.” Craig T. Nelson will return in the title role.